An aneurysm is a small extension of an artery or vein within the body. It is a blood filled pocket attached to a vein or artery. An aneurysm can occur as a result of a disease, usually as a defence mechanism, or as a weakening in the blood vessel wall. 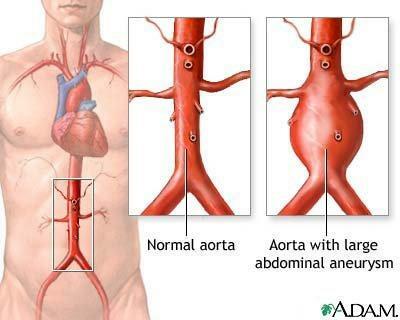 Aneurysms can be treated by simple surgery where the aneurysm is cut off and the blood vessel is sewn back together to the effect of its original state.